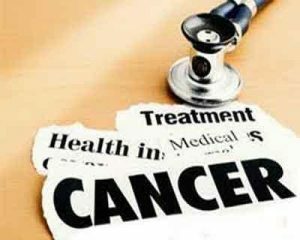 Panaji: The Goa government will include more private hospitals from neighbouring states under a state-runmedical insurance scheme for providing better treatment to Cancer patients, Health Minister Vishwajit Rane said today. Rane said Mumbai-based Tata Memorial Hospital has been already empanelled under the Goa government’s Mediclaim and Deen Dayal Swastha Seva Yojana (DDSSY) providing cancer treatment to Goan patients. “We are fully aware that there are delays on the part of the Tata Memorial Hospital as the facility is over-loaded. That is why we have decided to empanel few more hospitals under this scheme,” the minister told reporters. He said the best of cancer care facilities and treatment available in neighbouring Maharashtra and Karnataka would be empanelled under the scheme. The state government offers a sum of Rs 8 lakh per patient for cancer treatment under this scheme. Rane said the government was mulling to appoint a senior doctor as Hospital Administrator to look after the state-run facilities and ensure completion of under-construction infrastructure. Why can\’t Goa ministry improve it\’s own Govt hospitals and provide support to pvt hospitals in goa rather than send it\’s revenue and patients to other states ? Why deny jobs to local doctors and other healthcare workers ?